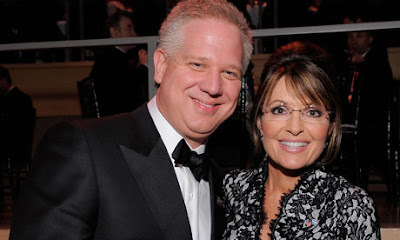 As Glenn Beck has his moment of infamy, at the Lincoln Memorial, on the anniversary of Martin Luther King's historic ' I have A Dream ' speech ~ I realize that Beck is just being Beck so why glorify his I Have A Scheme insanity with serious dialogue. I agree with Simon Maloy who wrote ( Media Matters ) ~ "Glenn Beck's "Restoring Honor" is a cynical ploy that exploits the hopes, fears, and faiths of his followers, a "sick farce" in which Beck is trying to advance his own politics and ambitions while hiding behind "deranged posturing." So why not ridicule it with satire and parody which is far more effective in exposing hypocrisy ~ and delivers its message while making us rightfully laugh. No one is more effective in penetrating the bubble of hypocrisy than Jon Stewart ~ so here's his ten minute must see video take on Glenn Beck's ' Restoring Our Honor ' rally at the Lincoln Memorial in Washington, D.C. on August 28th. This weblog is sustained through donations from people like yourself. Please send check or Money Order to Allen L. Roland, PO Box 1221, Sonoma,CA 95476 Also accept Visa, MasterCard and Discover . American Iraq Vet says ~ Enough, No More !